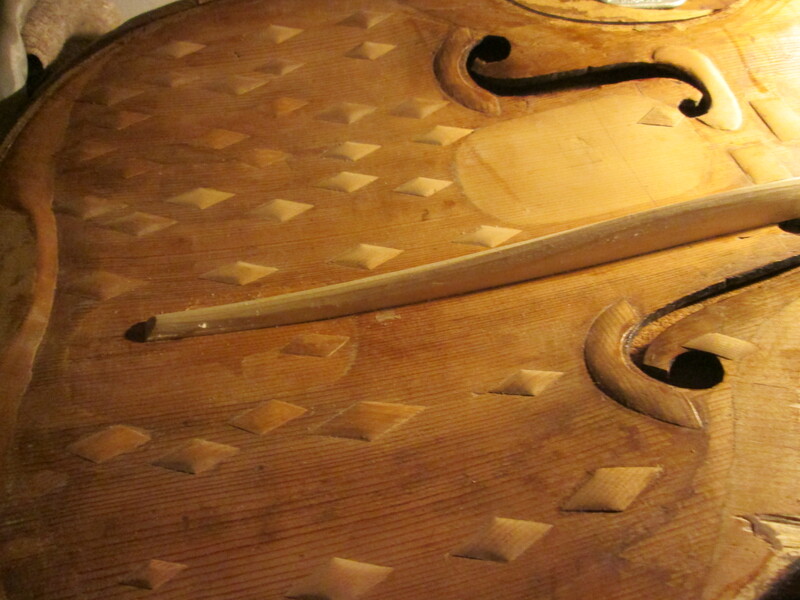 This beautiful cello dates from the late 1600’s…. and can be placed in Cremona…though not to a particular maker. As you can see this instrument has been through quite a journey and it has taken the work of many hands to keep it performing at its high level. 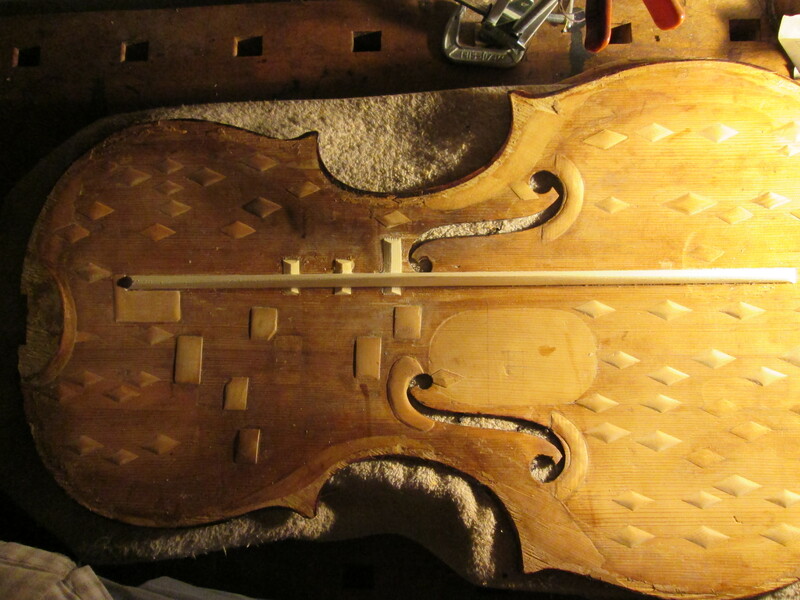 My contribution to this ongoing process was to remove the bass bar in order to glue a crack under it ….then after the gluing, fit studs to secure the crack….then fit a new bass bar that is notched to fit over the studs…which is rather tedious and painstaking. The photos show my bar already in and the beginning of shaping it – also the studs are glued in roughly- and in the process of being worked down to their final shape. This great cello is played by Derek Barnes in the Philadelphia Orchestra.